Work for RedGiant Effects Suite? Learning about RedGiant Effects Suite? the redgiant effects suite is a great addon for any VFX software, I used it along with the adobe after effects. there are lots of effects and possibilities are limitless, especially I found the tsunami, toonit and the Knoll light factory really useful for my projects. I have tried to color grade my films and other projects a lot of times and nothing even comes close to using the composite Wizard within the Redgiant effects suite and its one of the most popular when coming to editing films in Hollywood. it supports multiple platforms including windows and mac. the support is also really helpful with well-documented videos on the site teaches you how to make the maximum out of their products. the most important thing about the product is that it isn't that costly and anybody in VFX can afford it, they even provide a free trial to test their product prior to purchase. the speed of rendering found to be really slow after using the software, especially tsunami. some effects control are really hard to work with at least in after effects and the effects eat up your memory. there are lots of effects and they are way better than most of the software out on the market, give them a try and find out for yourself. Creating VFX and additional graphics effects to your VFX software. "Solid plugin for After Effects and Premiere, expands functionality greatly "
Red giant make some of the best plugins around for Adobe multimedia and in some ways it's impossible not to have them. Red Giant's trapcode particular alone is a industry standard for particle generation in After Effects and is miles better than the built in particle systems. I've also used other plugins like trap code form for projects and they work equally as well. There is definitely a bit of a learning curve to each of the plugins, since their are so many options. Particular is extremely powerful but can be daunting at first. If you like Red Giant, definitely check out other scripts and plugins on aescripts.com (for after effects) or the plugins offered by videocopilot.net. As a creative professional, the suite allows me to create and visualize graphics in ways that I could not before. It's a greater set of tools to create visuals that are really going to wow the audience. What Video Effects solution do you use? the Effect suite from Red giant is a pack of nine plugins that give your great effects to your footage and a lot of creative options. the plugins work with several softwares. in my case, I used it with after effects and I've to say I'm addicted to it. the planetspace plugin is one of them which helps you animate 3d layers easily and save a lot of time for you. it helps you manage a lot of layers, say a 100+ at a single time which could take a tedious amount of time if done without it. basically it's just a set of keyframe managers similar to that of in after effects but build in such a way to manage them easily. Image Lounge is another plugin that's pretty impressive, it help you build natural elements like fire and water into the footage which can be heavy work if done without it. Toon it is one of the best plugins in this package. as you can see from the name it helps you convert your footage into a cartoon with the click of a button. there are several build in options to get the look that you desire. Tsunami is also a great plugin to mimic ocean currents and waves, the quality of the plugin is just amazing and absolutely worth the price. they also offer a free trial in case you need to try them. the plugin isn't cheap and most of the small companies wont be able to afford them. this is a great set of plugins for anyone who's doing VFX. i highly recommend this if you got the budget. build Virtual effects into your video footages. It's so so easy! I absolutely love the simplicity of this product. Drag and drop and you're done. The effects are seamless and look so professional. You can certainly take the time to make these type of effects from scratch yourself, but there's no need when you have Red GIant. The adjustability is fantastic. Everything you need to customize the effects are right there in the effects panel and easy to change little things here and there to make it more personalized. I also love that you can use the effects in both Premiere Pro and After Effects. There is a creative consistency when it comes to using the effects between multiple platforms. I wish there were more! I'm sure what is offered is fair for the price but I do wish they offer some sort of expansion pack to the original. Honestly, there's nothing really that I dislike about this product. Buying the Red Giant Suite is worth the money. It will save you so much time! The effects are very polished and it is a high-quality product. The problem we are solving has to do with time. We are saving so much time by applying the functions of Red Giant Suite. creating a transition or any creative effect takes time and with Red Giant, it's already built for you, all you need to do is tweak it a bit to make it customized. Their effects suite covers everything from motion graphics effects to color grading presets to A/V syncing. My favorite of theirs is the Trapcode Particular plugins. I tend to use at least one version of their particles for almost every motion graphic I create. All of their plugins can be super simple to use with their presets they supply for you, or you can go even further and customize everything you could want to. You could even start with a preset and then customize that to fit your needs. There isn't much I don't like about this suite. I guess the main drag would have to be cost. To purchase everyone of their products can be pricey, so i would pick and choose the one that most suites you and your everyday work. Their products cost can definitely add up. I would look at the plugins that will best help your workflow for post production. I recommend Magic Bullet if you want quick easy to use color correction effects. Trapcode Particular if you are doing motion graphics. Universe is an annual fee, but it definitely has it's uses as well. I have all of their products. I've used their Magic Bullet plug in to do really quick color grades for projects, especially with the presets they offer, which can be all customized. Their version of particles in trapcode, in my opinion, is better than the native particles in AE. Red Giant just makes things better and in a lot of cases can save time when trying to do some awesome effects. "Great product that speeds up workflow"
I love PluralEyes and got it for its ability to quickly sync video and audio (especially from a multi-cam shoot) and it can even compensate for audio drift. This makes it so that audio that would otherwise be unusable becomes useable. I don't like how often the program prompts me to update it. I'm also asked to update programs I don't have. I think it's a lure to buy more of their products so I just ignore the updates that aren't directly for the product I've purchased. It's expensive but it saves you a lot of time and money in the long run. Correcting audio drift and syncing audio and video from a multi-cam shoot. what can i say about Red Giant, I love the programs, we use trapcode particular, and magic bullet here at work, but I have the entire suite at home, i Like that it stands out from the rest of the programs with its stand alone applications. "Red Giant - De-Noiser II - Way useful plugin for Adobe Premiere Pro"
Red Giant has a huge assortment of visual editing effects and plug-ins. I use the De-noiser II within Adobe Premiere Pro. It has a really easy to use interface and the results are top quality. There is a learning curve with the De-Noiser II, so incorporating an interactive walk-thru would be very beneficial for beginners. If you're in the video production/editing business, it's crucial to have the right plug-ins for your software. 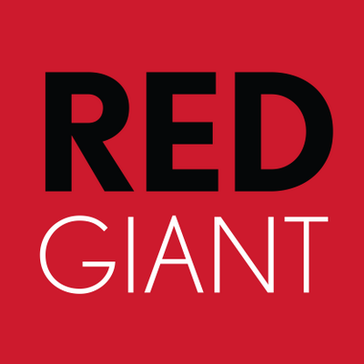 Red Giant has everything you might need to bring your video production to the next level. Read the guides and watch tutorials to get a good grasp on the functionality and, in the end, you'll be happy you did. De-Noiser helps to increase production quality where the risk of low light video footage may be prominent. We've had several videos that were shot in low light, with inadequate camera settings so the De-Noiser allowed us to compensate and correct those issues. I enjoy the ease in which I can use the product! I wish they had more effects and more training on how to use them with FCPX. make sure you talk with support and check out the tutorials first! Video Production. Helps me to create the most professional video as possible! I see that by using red giant software and effects, I am able to take my videos to another professional level. One that helps set me apart from my competition. "One of the must have addons"
The simplicity of the effects is amazing. You can get proffesional effects at an amazin rate and speed. I have bought all of the effects with ease, being able to retouch your movies, to edit them professionally is just great. It does not use to many resources and its a great addon. I have seen this effects in action in movies and tons of video uploaders. "Great for amateur editors or motion graphic editors. " There’s so many different plugins and effects, it’s insane! User interface is clean and precise, and the learning curve isn’t too bad. Just like with other pro effects software, it’ll take a while to get adjusted. Especially if you’re coming from the adobe suite. I’ve used some of their motion graphics plugins as well as their Looks package for color grading. My only issue would be the price, since I’m just starting out my venture into motion graphics. Some of the effects/transitions seem a little dated. Start with a smaller suite like 'Universe' to try out before investing in a larger one. We're able to incorporate professional level effects and transitions without having to spend a tremendous amount of time or money. * We monitor all RedGiant Effects Suite reviews to prevent fraudulent reviews and keep review quality high. We do not post reviews by company employees or direct competitors. Validated reviews require the user to submit a screenshot of the product containing their user ID, in order to verify a user is an actual user of the product. Hi there! Are you looking to implement a solution like RedGiant Effects Suite?